Even as a violin prodigy, Olivia Klein courted trouble. But when her marriage to high-stakes investor Rob Van Doren takes another wrong turn, Olivia acts out once too often. A night of bad behavior results in community service hours. Time is to be served with Theo McAdams, an inner-city teacher whose passion for music eclipses Olivia’s. As she inches toward a better place, life surprises Olivia in the form of her first husband—baseball legend Sam Nash. Years ago, Olivia fell in love with Sam. Their impulsive marriage imploded with a fateful car crash and harsh parting words. Olivia never expected to see him again. But now Sam is back, and he wants her forgiveness. He also wants to recapture their volatile love affair. Olivia is torn between rekindling romance and saving her marriage. 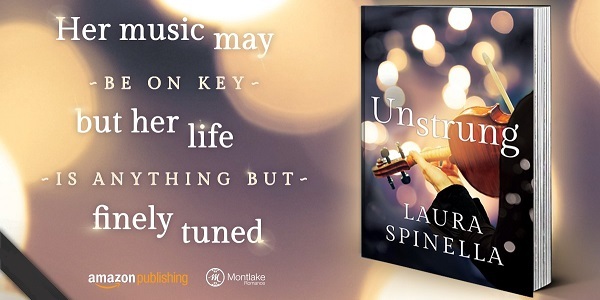 To her surprise, it’s the presence of the young music teacher—and the lessons from a reckless past—that may bring harmony to Olivia’s off-key life. Fundamentally, I enjoyed the plot and characters – but I did find it incredibly slow going. I tend to read 200-300 pages a day, every day, but this took me more than four days to read. I didn't want to give up, as I was curious as to whether it was going where I expected it to – indeed it did, and it was worth reading, but I still don't know why it went so slowly. After about 58% it did get much easier to read, as it was mostly in the current time. The individual characters going back in varying lengths of time did not really work for me. Although chapters are seen from different points of view, the lead is always Olivia, and she is a woman who really has not grown up – and even though she had a tough family life, she has not moved past it, in spite of having a very patient husband and best friend. Maybe my biggest problem with this story is that I never quite identified with her. It was easier to understand the actions of all the other protagonists! I was intrigued by the musical elements and the love and hate that she had with her talent and career. As she got to know Theo, the similarities and differences were beautifully explained. The question of why everyone can't teach was also an interesting element in the story. So, I would recommend that you give this a go, because the story is good, and you may find the style is absolutely to your taste. I will remember and think about the story for a long while, as it prompts the reader to ask some curious ethical questions. Laura Spinella is an East Coast author, originally from Long Island, New York. She pursued her undergraduate degree in journalism at the University of Georgia. The southern locale provided the inspiration for her first novel, Beautiful Disaster, which garnered multiple awards, including a Romance Writers of America RITA nomination. She’s also lived on Maryland’s Eastern Shore and in North Carolina before relocating to Massachusetts. She and her family currently live in the Boston area, where she is always writing her next book. Ghost Gifts is Laura’s third work of romantic fiction. She also writes sensual romance under the pen name L. J. Wilson. 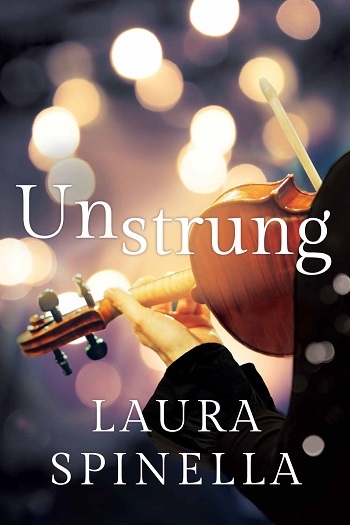 Reviewers on the Wicked Reads Review Team were provided a free copy of Unstrung by Laura Spinella to read and review.